I wrote an article a while back about using different tools to bypass the average door lock (post HERE). Tools included bump keys, a lock gun and basic lock pick toolset. I personally found the old school lock picking method to be the fastest and quietest … but that’s my personal taste in tool. 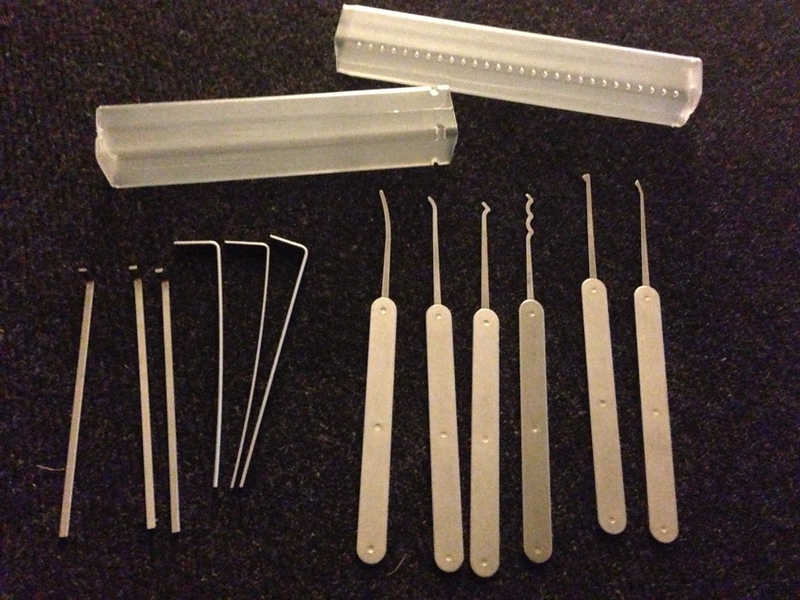 So to continue building upon this skill, I upgraded to a better lock pick kit at this year’s DefCon conference. I also have my mom visiting again soon who constantly locks herself out of the house so the timing is right to sharpen my locking picking skills. The lock pick toolset I picked up was 30 dollar. This package came with a lot more tools then my last set including a few copies of the same size tension wrenchs. Here is a breakdown of each piece. Tension Wrench – Used to apply torque while you modify pins. This kit came with 3 short and 3 long ones. Long ones seem to be more appropriate for doors while short ones for smaller locks. 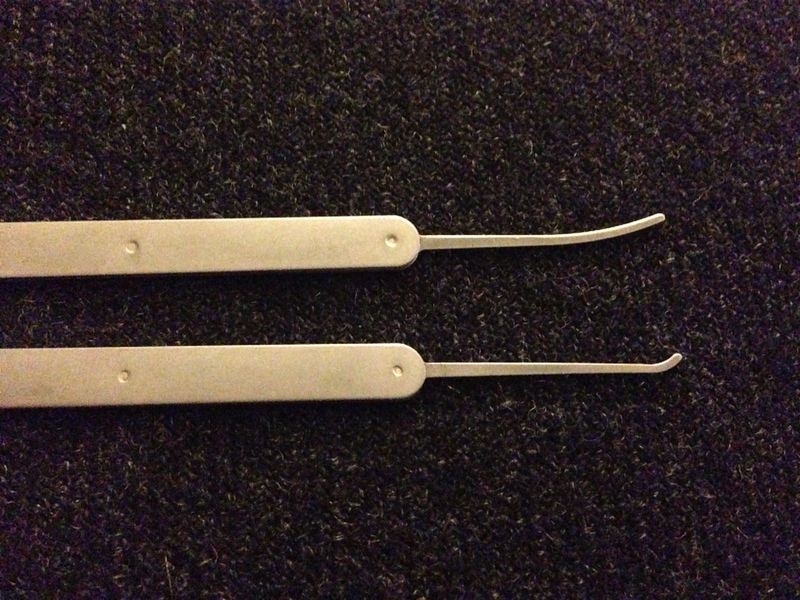 Rakes – Used to pop up multiple pins inside a lock while applying pressure with the tension wrench. The goal is to bounce the pins and catch the split second the pins are in alignment. This kit came with two variations. One known as a Bogota or Snake Rake based on having multiple curves and other known as a W rake based on its single curve. Hook – Used to modify individual pins inside a lock while applying torque with a tension wrench. 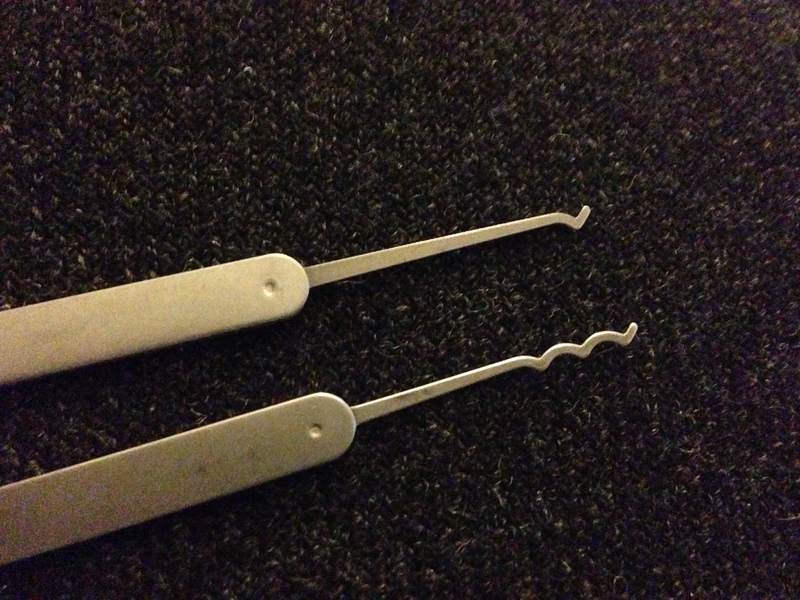 This kit came with two different variations of hook picks (medium and small reach). 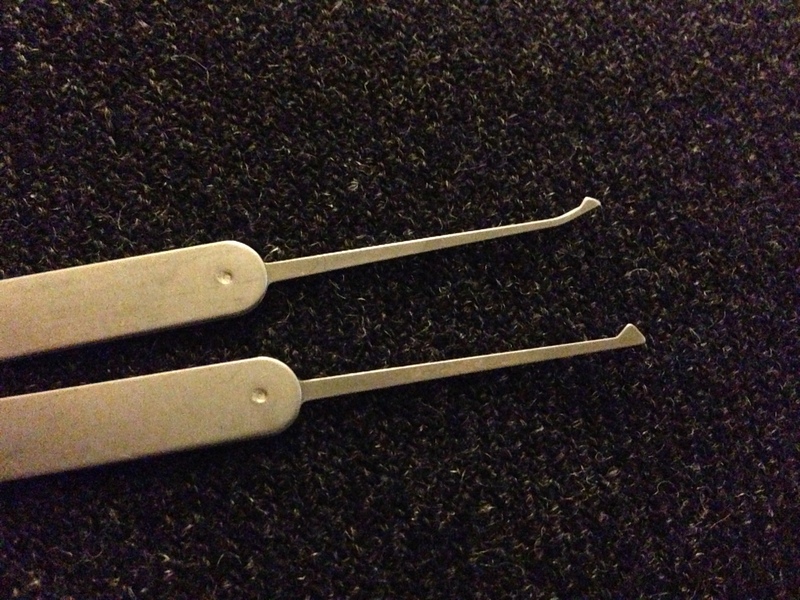 Diamond Pick – Looks like a key remover but not sharp enough on the backside. 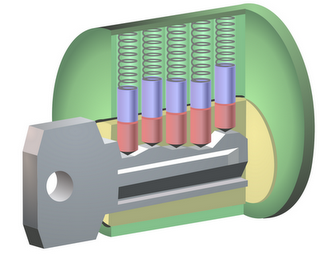 These are used to reach in the back of locks or around pins that have already been picked. This kit came with two variations. My personal tool of choice is the Snake Rake. After an hour or so of practice to remember the skill, I found I could open a standard door lock in under 10 seconds. The deadbolt was a bit trickier however I got my time down to around 1-2 minutes on average. My best time was opening both front door lock and deadbolt in under a minute. The lesson I learned was it is NOT ABOUT POWER! The skill is like a soft touch lightly applying torque while the tool does the work. I tend to pretend the Snake Rake is a key and lightly place it in and jiggle it out until the door opens. I found using too much pressure either from the tension wrench or pressing too hard on the pins didn’t work. It is all about having the tool open the door rather than your pressure. 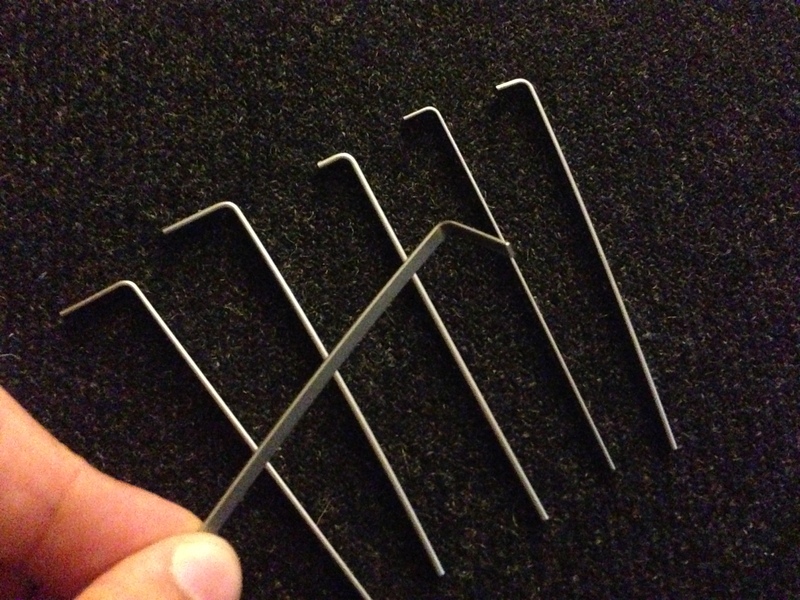 You can find more on lock picking at http://www.lock-picking.org/ or youtube. NOTE: I’m not a locksmith or professional lock pick. I represent the average Joe purchasing a lock pick kit, using Google / you tube to learn the skill and shortly after attempting to open doors. 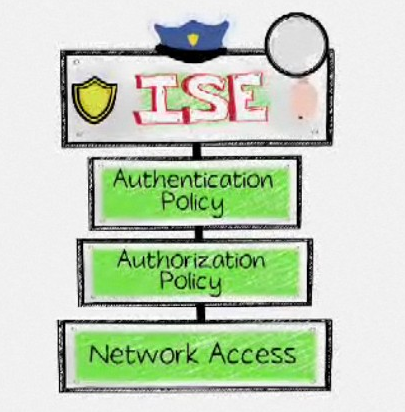 My goal is to demonstrate the REAL threats from physical security so hopefully like me, you invest in other means of security such as better deadbolt locks, alarm systems, legal self defense measures and other security measures to protect your home and family. I love the Bogotas too. They open the cheap cylinders very quick. Its just that tool you need, when you work from outside. The regular picking tools are hart to handle in real situation with a costumer next to you.